Located in the heart of Austria, in Glemmtal, one of the most beautiful valleys in the Salzburg region, our Hotel Sonnberg in Hinterglemm, next to the quiet but still central location, offers an ideal starting point for holiday guests who want to experience their holiday in full. 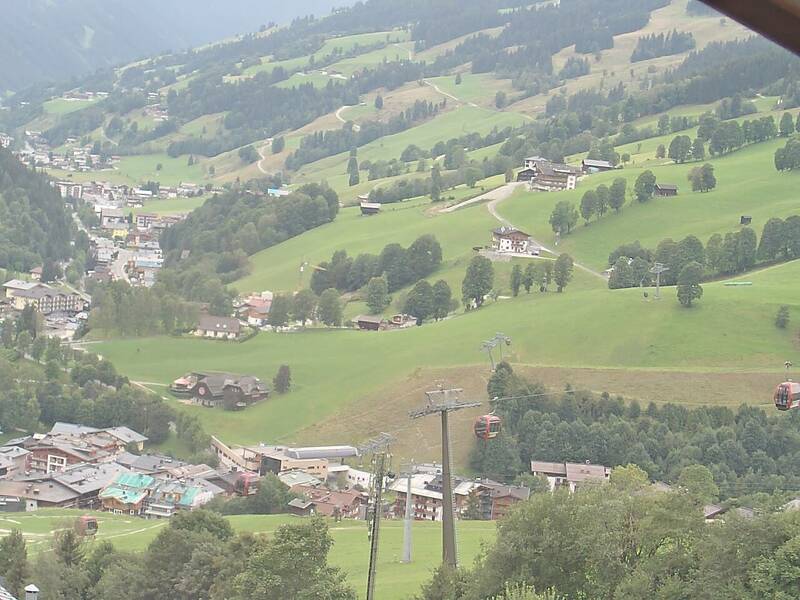 Just 100 metres away from the Bergfriedlift and 150 metres from the Reiterkogelbahn, a short walk is all you need to reach the nearest cable car from our hotel. My grandfather built the house in 1970, for decades my parents managed it with love and in 2010 I took over it. We have preserved proven traditions and supplemented the offer for our guests with new influences - always with the aim of designing the house, the way in which I would want it to be for my own holiday. Rustic cosiness, lots of natural materials and pleasant comfort, spiced with a pinch of warmth and familiar atmosphere - when tradition and modern trends couple up, the feeling of having found your second home quickly blossoms. Your holiday in the Salzburg mountains, or more precisely, there is always a highlight between the Kitzbühl Alps and the Pinzgauer Grasberge, any time of the year. 270 perfectly maintained kilometres of pistes in the winter and an apparently endless mountain landscape, which can be explored during the summer months. Surrounded by an overwhelming natural setting, we constantly absorb this topic and therefore, foster the philosophy of “the best the region has to offer and home-made”, which does not only apply to culinary art but also to the conversion and expansion measures carried out. Comfort in Alpine Chic – in order words, a successful mixture of tradition and modern trends. we give each room a distinctive ambience and something very personal – as if our best friends were coming for a visit! Do you have any special requests? Let us know and we will fulfil them with enthusiasm. "Everything was perfect - Charly and Karin gave it everything to make sure our stay was unforgettable." "Superb location! Very friendly and courteous hosts! Wonderful wellness area! Ideal for mountain bikers"